We went to visit a place called Assos yesterday. 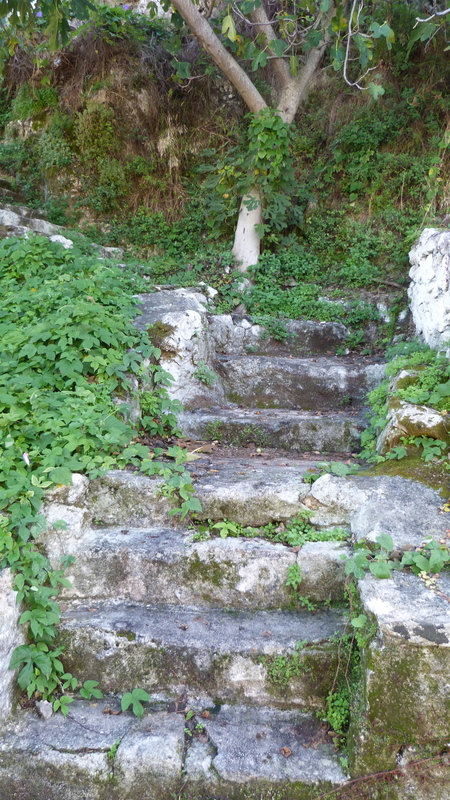 Most of Kefalonia was destroyed by the 1953 earthquake but there are ruins dotted about. This was the stairs to a building that fascinated me and, consequently I took a lot of photos. There was something eery and sad about it but also something incredibly beautiful. ← First ever CABARET NIGHT!!!! Love how you post the picture of the stairs TO the building that fascinated you and NOT a picture of the building that fascinated you. Haha! We love the little hops over to Greece from Turkey. A lot of peploe say how similar the two countries are. Landscape may be similar but after that, they’re different worlds for us. We enjoy the pork dishes and the different beers on offer in Greece.